Da Capo Lifelong Books, 9780738216652, 254pp. Trista Rehn was a pediatric physical therapist moonlighting as a Miami Heat dancer when she heard about casting for a new reality show--one guy getting to know twenty-five girls in the hope of finding a fiancee. As improbable and crazy as it sounded, Trista took the chance--and had her heart broken on the very first season of The Bachelor. But the next season, as the first Bachelorette, her fairy tale fell into place during a whirlwind courtship with poetry-writing firefighter Ryan Sutter and, eventually, a dream-come-true wedding on national TV. In the midst of building a life with Ryan and raising two kids, Trista started to make a conscious effort to remember her favorite part of each day. And she's made sure to post these thoughts, her own personal expressions of gratitude, almost every night on Twitter and Facebook--even on days she was dealing with fertility issues, a difficult pregnancy, family deaths, and other challenges that many of us face. Sometimes it's the smallest gestures and the most unassuming things that can have the greatest effects. Trista is often asked her secret to being one of the rare reality-TV relationships to make it to the altar and beyond. 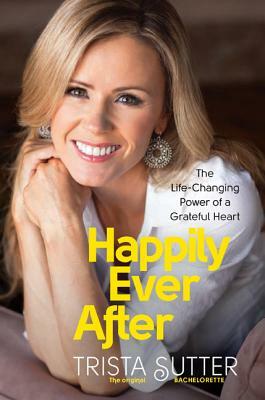 In this heartfelt book, she shares the simple yet profound keys to finding everyday happiness: gratitude and grace. From the blink-and-you'll-miss-them moments we have with our kids, our spouses, our pets, or even strangers, to the more obvious lessons we pick up from reading the news or hearing an inspirational story, knowing how to recognize, accept, and be grateful for all of our daily blessings is truly what "happily ever after" means.